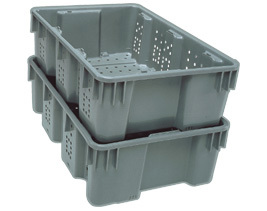 Excellent plastic lugs for harvesting and transporting. Vented sides and bottom. These have become our favourite harvest totes. They're made by Thunderbird Plastics.